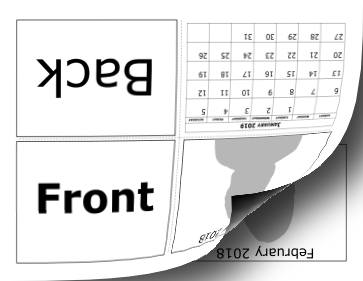 This printable 2018 calendar is completely foldable and offers places for custom pictures.Starting with page one, fold the paper lengthwise along the dotted line, then fold it again horizontally. Do this for each page, then stack page seven inside page six, page six inside page five, and onward until they're all nestled together. Free to download and print.